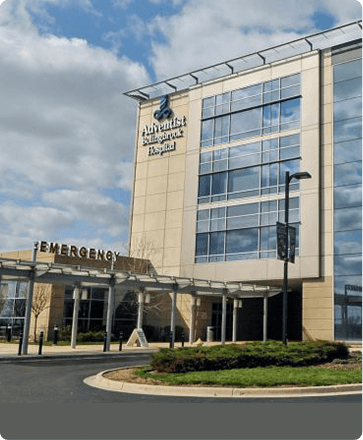 Our Bolingbrook office is conveniently located in the medical office building on the campus of AMITA Adventist Medical Center – Bolingbrook, with ample free parking and easy access. All interventional procedures are performed at this hospital in the pain management department, which has three procedure rooms, four admit rooms, five recovery bays, fluoroscopy equipment and three types of radiofrequency ablation machines, as well as patient monitoring equipment for all procedures performed. Turn left at Remington Blvd. Turn right at Schmidt Rd.